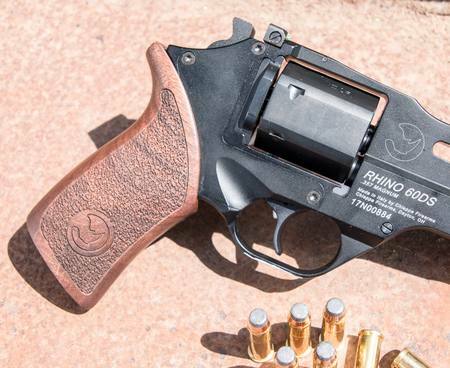 The Rhino is the most innovative development in revolver technology in decades, if not since the creation of the revolver itself. 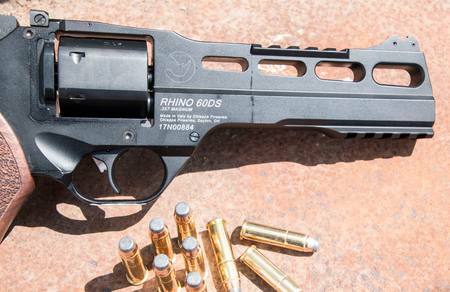 Refusing to be constrained by tradition and previous design limitations, the Rhino has improvements that move the revolver forward into the 21st century. 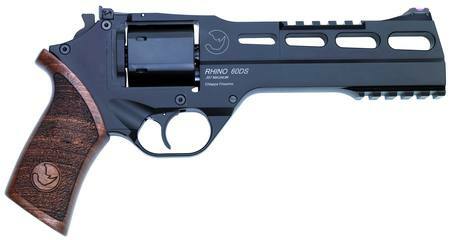 Unconventional in appearance and superior by performance, the Rhino fires from the bottom of the cylinder rather than the top. 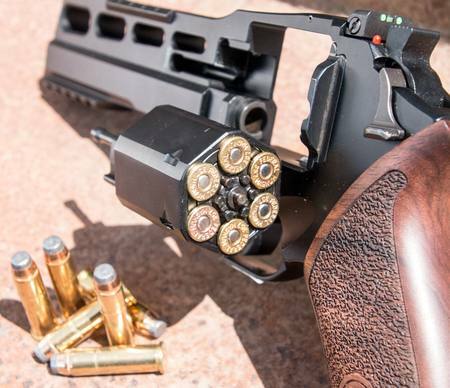 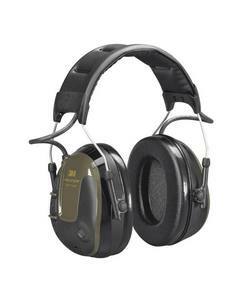 This dramatically reduces muzzle rise and recoil felt by lowering the axis of the bore almost to the palm of the shooters hand. 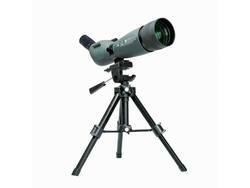 An aluminum alloy frame and barrel shroud make the Rhino lightweight and easy to carry. 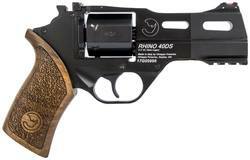 The 6” barrel models come with both rails on top and bottom to easily mount optics as well as lights or lasers.The snag resistant “hammer” is actually a cocking device because of the Rhino’s innovative completely enclosed firing mechanism which can be fired either single or double action. 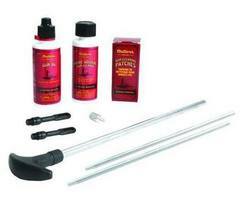 A cocked indicator is clearly visible to indicate the internal hammer status. 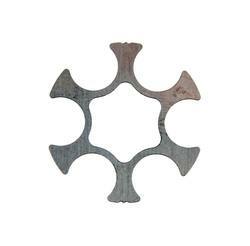 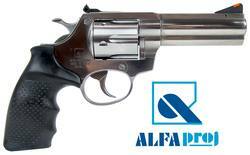 Another innovation is the hexagonal cylinder which keeps the revolver’s width to a minimum. 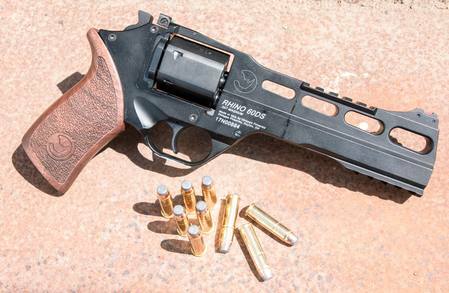 All Rhino revolvers feature an easy to see fiber optic front sight.